We are pleased to welcome Molly Gaudry to Writers on Craft this month. 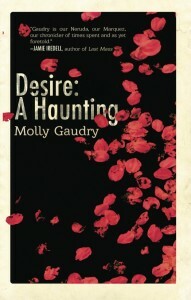 Molly Gaudry is the author of We Take Me Apart, which was shortlisted for the 2011 PEN/Joyce Osterweil, named 2nd finalist for the Asian American Literary Award for Poetry, and has earned her comparisons to Gertrude Stein, Samuel Beckett, Marguerite Duras, Angela Carter, and Cormac McCarthy. The verse novel continues to be taught at Brown, Wesleyan, Cornell College, Queens College, CUNY, and other creative writing programs in the US. 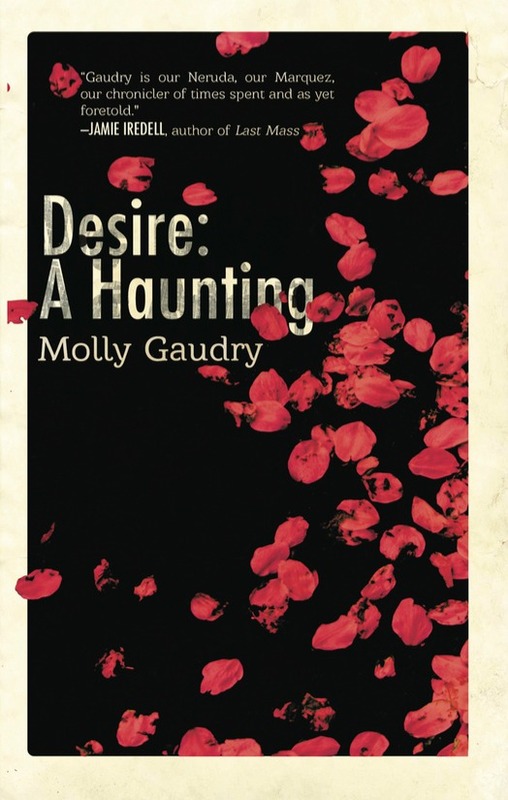 In 2016, Ampersand Books will release its sequel, Desire: A Haunting. 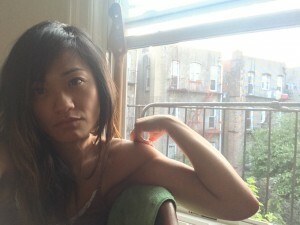 Gaudry teaches fiction, flash fiction, and lyric essay workshops for the Yale Writers’ Conference. She is the founder of Lit Pub. What do you read when you despair at the state of either your work or a particularly difficult manuscript in progress—any “go to” texts? Marguerite Duras’s Writing and Annie Dillard’s The Writing Life. I even travel with them because you never know, you know? I also recently posted a number of black and white portraits of writers on Instagram: Acker, Anzaldua, Butler, Carson, Carter, Cha, de Beauvoir, Irigaray, Jelinek, Lessing, McCullers, Maso, Morrison, Nin, Oates, Paley, Plath, Sexton, Silko, Solnit, Sontag, Stein, Szymborska, Winterson, Woolf, Wright, etc. It’s really something to see them all compiled, collaged together. Taking in their expressions, wondering what they were thinking in those moments, I can hear them: You have every advantage. Do the work. You have no excuse. Do your work. You teach in many genres. What is your guiding principle when designing workshops? I have almost exclusively taught beginning writers, teen workshops, and intro-level undergraduate courses, so my guiding principle is primarily to inspire students to want to keep writing—each for her or his own personal reason. I want to help them individually find that reason. Why are they in the room? What do they want out of the experience? What will fuel their desire to keep trying, days, weeks, years after our class? Too many students enter the classroom afraid they won’t be “good,” worried they’re fooling themselves or making a mistake believing writing can be a career goal. Too many are already berating themselves for not yet having published. I remember when I was a young writer and thought of workshop as a place to perfect each story. I don’t presume now to think for a moment that I can help any young writer perfect a story in a ten-day intensive workshop, or even a semester-long course. Instead, I want to help students connect (or, as is more often the case, reconnect) with their writing so they can better understand themselves—who they are, who they want to be, who they will be. I aim to facilitate individual breakthroughs so they leave my class excited and inspired, yet realistic, about their dedication to doing this thing they love, this thing they need in their lives, knowing by the time our time is up that without a doubt they are writers. If you could give just one piece of advice to emerging authors, what would it be? Sensuous minimalism in your work is mesmerizing, particularly with regard to which details are presented. Often as I read your new book Desire, I found myself holding my breath while I waited for the accumulation of ideas to transport me to unexpected and yet totally natural conclusions. The mystery was part of both the lure and allure of the text. Are you conscious of the element of mystery as you invoke it? I can honestly say I never thought of mystery when writing Desire. I always knew, however, that I had a ghost story on my hands, so it’s possible that because I thought of Desire as my ghost story I may have been blind to the possibility of thinking of it as anything else. 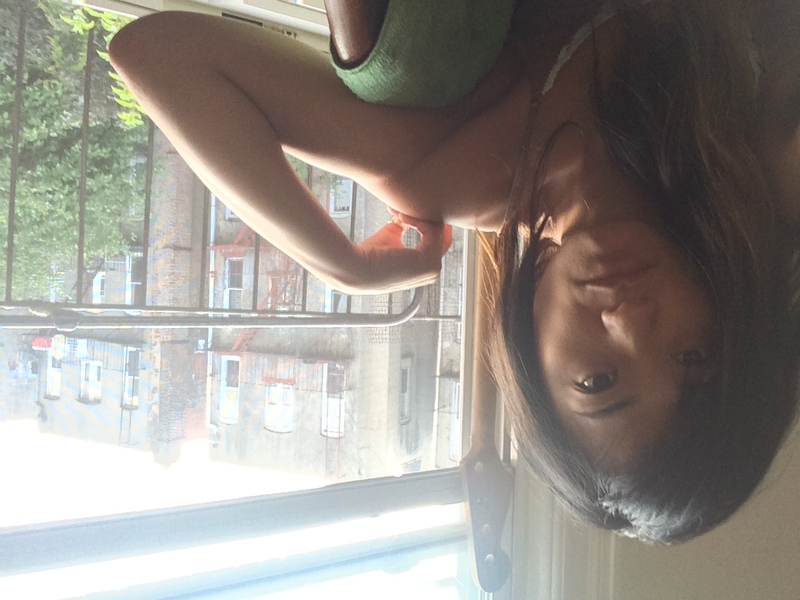 Incredibly conscious, though, of the fact that my narrator, dog, refuses to tell us what her trauma is, I wrestled for a long time with whether or not to tell her story chronologically. Ending the entire last third of a 250-page book with a flashback seemed risky to me because, essentially, the novel ends two-thirds of the way in. Why keep reading? Why keep reading? Why keep reading? This question plagued me. Perhaps this question and mystery have more in common than I realized. Do you feel that when you write, you write for a specific audience who may understand more about the narrative than any other reader? I admit that my decision to end Desire two-thirds of the way in, and to append to it a long flashback, was made easier by the idea that I don’t need to please the masses. And I think from the moment I understood that I was writing about characters who first appeared in We Take Me Apart, I knew I was writing this book for fans of WTMA. Even now, before Desire has released, my biggest fear is letting down those who loved and supported WTMA. It was really something miraculous, and it meant so much to me—still means so much to me—that readers responded to WTMA the way they did. Desire is absolutely, 100% for them. Your prose style is quite poetic, beatific language and the absence of language assuming alternating hierarchy for page time in your novel in verse Desire: A Haunting. How long did writing this book take you? On April 3, 2013, I sent my publisher thirteen stanzas of what would ultimately become Desire. In the fall of 2014, when the story was for the most part finalized, I began interrogating its form, and it wouldn’t be until the summer of 2015 that I would finally get it right. What were some of the challenging decisions you made while determining its final form? I still can’t believe it took so long to find Desire’s form—or, more specifically, to find the best form for dog’s voice. The hardest formal darling to kill was the version I wrote in tetrameter. I really wanted that draft to work. But I let it go. It was too steady a heartbeat, too neat for my lovely, broken dog, whose vocal chords were ruined after her mother did what she did, who can speak in only a whisper, who chooses most often to not speak at all. Of course, this means there is a lot of white space in Desire. There’s a lot unsaid. And how is one supposed to write that? So this was the challenge: getting the white space, the absences dog feels, the losses she’s survived, her silences, just right. Was it painful or beautiful to write? I can’t quite bring myself to go back and refer to my journal (I journal obsessively when I’m writing, about the writing) because I remember well enough that moment of epiphany and I’m not sure I can face those pages and pages and pages of thoughts that led to it: dog is friendless. She has lost her family. She sees or chooses to see a ghost. And I understand her need to create, to believe in her creation. I understand that sometimes our creations are all we have. Are they ever enough? Of course not. We crave human companionship. We don’t want to live and die alone. We’re all searching for someone to share our lives with. Yes, writing Desire was painful. It was painful. But also beautiful. A while ago, we spoke of how many women writers we know are intrigued by writing books with ghosts lately. Why do you think ghosts are becoming such desirable entities to write from, or from within, particularly now? I worry that it’s because ghosts are both present and not present, seen and unseen, heard and not heard, always doubted, always feared, always alone. We’ve come a long way, we women writers, but as the VIDA counts reveal we are hardly visible. I wonder, hundreds of years from now (if human life on earth manages to survive that long), will ghostliness and invisibility be among the great themes of women’s poetry from the early 2000s? Let’s talk more about your gorgeously fierce women. In Desire, one thing that struck me intensely as I read was that I loved the way the narrative doesn’t apologize for the vivid personalities of the female characters. I loved the innocent and not so innocent eroticism of the contact between women and the way the narrative explores the burden and the gift of mother-daughter relationships, in particular, since the idea of contact and mothering, good and bad, becomes so relevant in how the reader sees the characters’ personalities. How did this focus on “mother scars” enter the narrative? It wasn’t until Desire was finished that I could hold it up next to WTMA and say, Yeah, OK, I’m clearly obsessed with mothers and daughters. It’s no surprise. I’ve always been haunted by the absence of my biological mother. The hard, cold proof of my second book also being about mothers and daughters did surprise me, though, because motherhood had clearly emerged as one of my major themes. (Fit Into Me, the third book in the quintet, absolutely confirms it. Addresses it head on, even.) So why is this? I suppose because I want desperately to mother. But because I’m terrified of it, too. Because my biological mother is dead. Because Mary Wollstonecraft died after giving birth to Mary Shelley. Because all the mothers die in Dickens. Because all the mothers die in Disney. Because once an orphan always an orphan. Because the woman whose body once held, cradled, shielded, protected you for nine months is gone. Is disappeared. Is missing. Is lost. Is ghost. And you are alone. You are alone, as you have always been alone. You are alone, and it is a wound that never heals. You are alone, and you are scared. You are scarred. I am scarred. Pearl Prynne is scarred. Dog is scarred. Dog’s mother is scarred. The tea house woman is scarred. We are all scarred. How has your perception of what you “do” with your work changed as you have continued to write and publish? What do you dream of, when you dream big, for where you’d like to be in your process in the next ten years? Are there any projects you dream of having time to enact? In ten years, I hope my students will have gone on to accomplish great things. I want to be able to say, I worked with those writers! I knew they would make it! I always knew they could do it! As for my own writing, I hope it will reveal further growth and maturity. I hope that whatever I am doing then is far beyond my ability to conceive of or comprehend it today, when I am still such a young writer myself. You’ve done so many things in the field and in service to the literary community. Did you want to speak to any of the efforts you’ve devoted time to? It’s impressive. P.S. I love The Lit Pub, both for its beautifully made website and for what it does for authors. All I can really say is I wish I had more time to do more, especially because for the past several years I have had to put my health and my PhD program first. So I’ll use this opportunity to apologize to everyone I’ve let down, Lit Pub authors especially. I promise to do better. 2016 is the year I return to and for others again. And now that I have said it, let it be so. Do you imagine you’ll do any collaborative work? With your gift for dialogue, I could see you writing gorgeous plays. Thank you for the dialogue compliment, because I struggle with dialogue quite a bit. I would really love to see a theatrical interpretation of Desire. Rather than be involved, though, I think I would prefer to relinquish control and invite the playwright and director to transform it into their vision of what it could be onstage. That would be wonderful. I would love that so much. What’s in the immediate pipeline for your readers next? And what are you working on now? Give us a sneak peek. For the first time in my life, I realized that if I believe, if I allow myself to believe that I can really do this the way I want to, then I need to wake up a few hours earlier every morning and stay up a few hours later every night. Read harder, faster. Research more. I need to go on writing like every day is already a lost day, because they all are or soon will be. It hurts, this realization, because it led to another: I can’t have the career I’m dreaming of and at the same time be a mother. Because if I’m going to mother—if I, having been abandoned and given up for adoption, having been haunted by the absence of Mother all my life—am going to enter into that contract with children, with children, for God’s sake, then I’m going to be there. Even when I’m nowhere near the page, I’m still always thinking about it during the day when I’m teaching or reading or researching or editing. I thought I could and I thought I wanted to have it all, career and family. I’ve realized I can’t. So I’m going to embrace the hurt and ache and sorrow and despair and loss, this traumatic loss of reliving all over again the gaping absence of Mother and now, madly, end a good relationship with a good man, move into my new apartment without him, and let go that dream of becoming Mother, filling that space, resurrecting her from the grave and providing her with my own body a second chance to get it right. Because I believe that what we do, what writers do, alone in our heads as we take in and rewrite the world, it matters. We matter. Human experience matters. Our record of human experience throughout time—literature—matters. This interview is brilliant. I love it. In a really cool way it makes me feel that my own writing life is as apparent as it needs to be. I love it that the books are a series. It teaches something about excitement, verve, continuance, love of audience, and so many things.